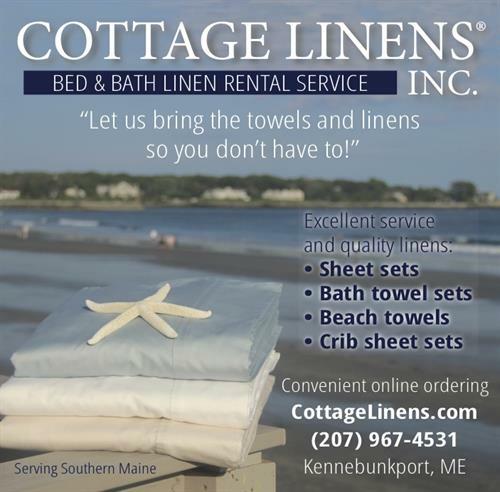 Cottage Linens is the premier Bed and Bath Linen Rental Service for vacationers to southern Maine beaches. No need to bring linen for your vacation cottage, we deliver clean, fresh, quality sheet and towel sets right to the cottage door! Free Saturday delivery, excellent service, quality linens. Major credit cards welcomed. 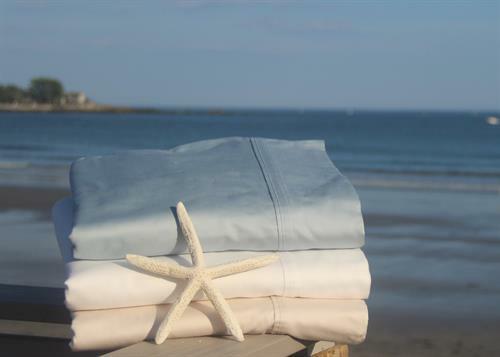 Order your vacation linen today on our secure online order page at CottageLinens.com! We'll bring the linen so you won't have to!